- This new release features an improved cleaning algorithm. The “Garbage files” cleaner will now scan for even more temporary files at a higher speed. - In version 11.40 we improved cleaning of old restore points! Recovering of the disk space used by older restore points is now much faster and works perfectly on all Windows versions. More than this, we added the Swedish language translation. - In version 11.37 we improved both the Old Restore Points and the Google Chrome Temporary Files cleaning procedures. After cleaning the Google Chrome garbage files we’ll restore all your open browsing sessions! 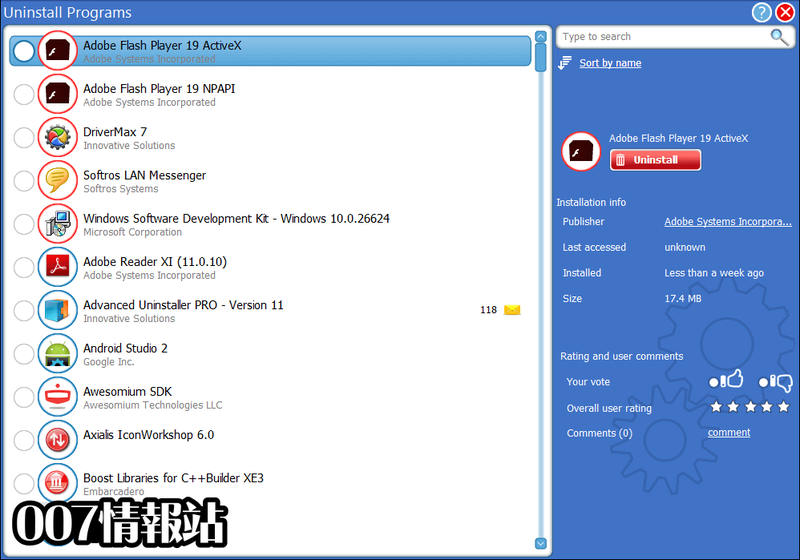 - We have added and activated the “Recycle Bin” and “Application Leftovers” cleaners for you. Daily Health Check can now perform a deep scan to detect garbage files within each application’s folder. - We just added the “Windows Log Files” and “Windows Error Reporting” cleaners and enabled them in your Daily Health Check. You can find them at the bottom of the “Health issues” tab. 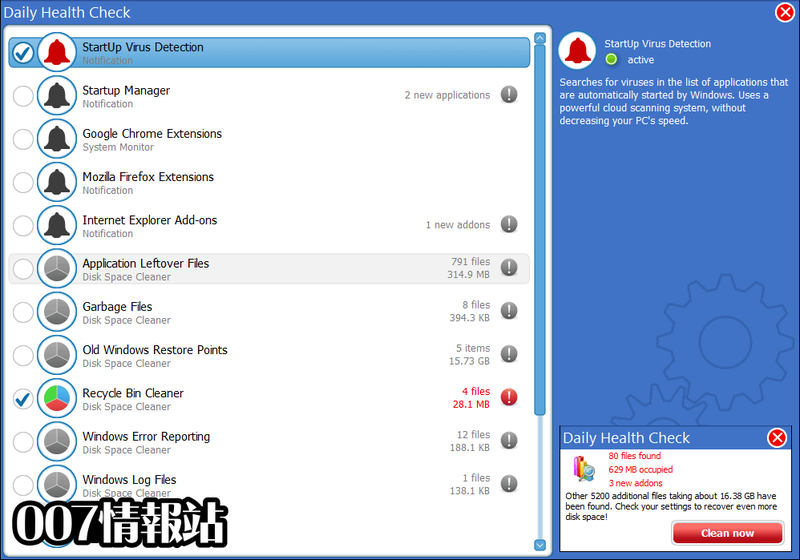 - Added the virus check function to Daily Health Check; from now on Daily Helath Check will be able to detect viruses that added themselves to your Windows startup. It will also continuously monitor your PC, display a brief report when something comes up and allow you to perform all necessary maintenance tasks through one “Fix all” button! 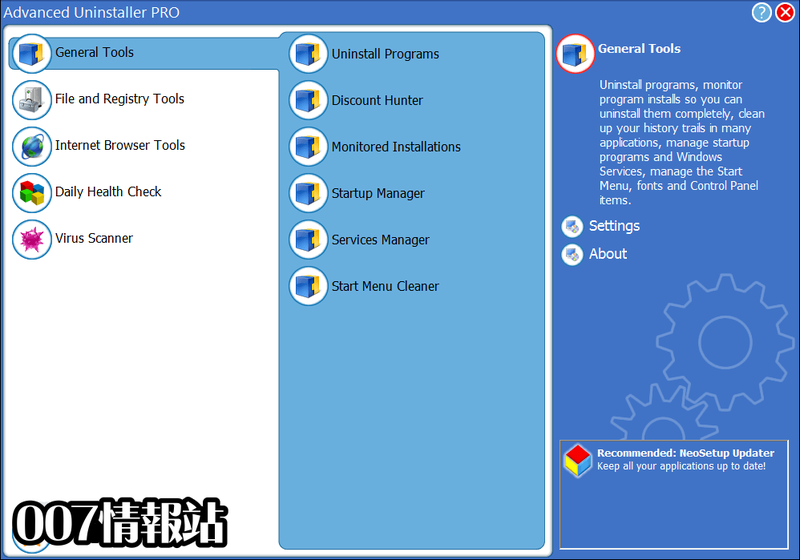 - The Live HelpDesk feature is a brand new, experimental applet that we added to Advanced Uninstaller PRO. This new tool allows you to request assistance for any PC related issue you might have.